Our Debaters are doing very well ! 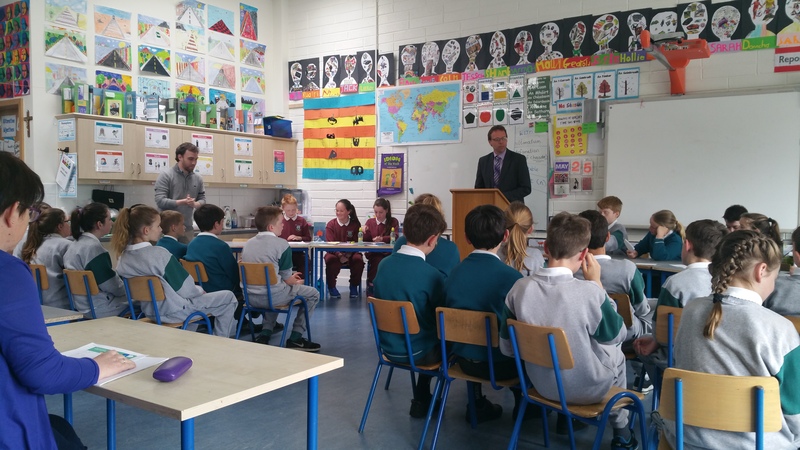 Thursday 25th May saw our debating team take part in the Semi-final of the Munster Schools debating competition. They had the difficult task of having to propose the motion that ‘Ireland cannot afford to send money abroad to charity’ The team made some brilliant arguments and rebuttals and in the end the result went Glounthaunes’ way by the narrowest of margins ! Well done Ms Murphy and all the children.